Albert I (8 April 1875 – 17 February 1934) reigned as the King of the Belgians from 1909 to 1934. This was an eventful period in the history of Belgium, which included the period of World War I (1914–1918), when 90 percent of Belgium was overrun, occupied, and ruled by the German Empire. 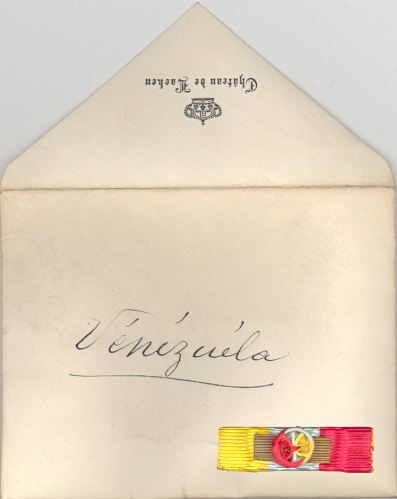 Other crucial issues included the adoption of the Treaty of Versailles, the ruling of the Belgian Congo as an overseas possession of the Kingdom of Belgium along with the League of Nations mandate of Ruanda-Urundi, the reconstruction of Belgium following the war, and the first five years of the Great Depression (1929–1934). 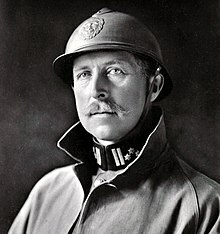 King Albert died in a mountaineering accident in eastern Belgium in 1934, at the age of 58, and he was succeeded by his son Leopold III (r. 1934–1951). Albert Léopold Clément Marie Meinrad was born in Brussels, he was the fifth child and second son of Prince Philippe, Count of Flanders, and his wife, Princess Marie of Hohenzollern-Sigmaringen. Prince Philippe was the third (second surviving) son of Leopold I (r. 1831–1865), the first King of the Belgians, and his wife, Louise-Marie of France, and the younger brother of King Leopold II of Belgium (r. 1865–1909). Princess Marie was a relative of Kaiser Wilhelm II of Germany (r. 1888–1918), and a member of the non-reigning, Catholic branch of the Hohenzollern family. Albert grew up in the Palace of the Count of Flanders, initially as third in the line of succession to the Belgian throne as his reigning uncle Leopold II's son had already died. When, however, Albert's older brother, Prince Baudouin of Belgium, who had been subsequently prepared for the throne, also died young, Albert, at the age of 16, unexpectedly became second in line (after his father) to the Belgian Crown. Retiring and studious, Albert prepared himself strenuously for the task of kingship. In his youth, Albert was seriously concerned with the situation of the working classes in Belgium, and personally travelled around working class districts incognito, to observe the living conditions of the people. Shortly before his accession to the throne in 1909, Albert undertook an extensive tour of the Belgian Congo, which had been annexed by Belgium in 1908 (after having been previously owned by King Leopold II of Belgium as his personal property), finding the country in poor condition. Upon his return to Belgium, he recommended reforms to protect the native population and to further technological progress in the colony. 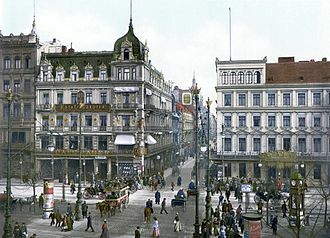 Albert was married in Munich on 2 October 1900 to Bavarian Duchess Elisabeth Gabrielle Valérie Marie, a Wittelsbach princess whom he had met at a family funeral. A daughter of Bavarian Duke Karl-Theodor, and his second wife, the Infanta Maria Josepha of Portugal, she was born at Possenhofen Castle, Bavaria, Germany, on 25 July 1876, and died on 23 November 1965. The civil wedding was conducted by Friedrich Krafft Graf von Crailsheim in the Throne Hall, and the religious wedding was conducted by Cardinal von Stein, assisted by Jakob von Türk, Cofessionar of the King of Bavaria. 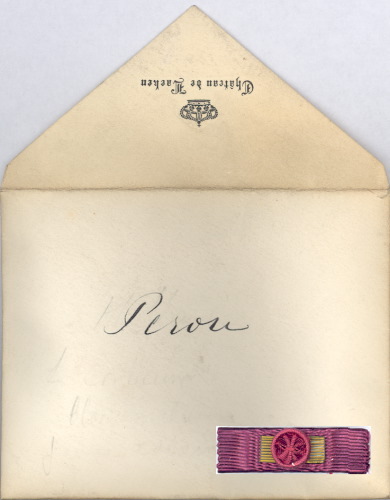 Based on the letters written during their engagement and marriage (cited extensively in the memoirs of their daughter, Marie-José) the young couple appear to have been deeply in love. 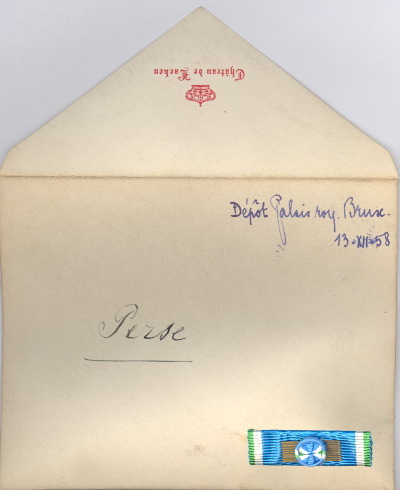 The letters express a deep mutual affection based on a rare affinity of spirit. They also make clear that Albert and Elisabeth continually supported and encouraged each other in their challenging roles as king and queen. The spouses shared an intense commitment to their country and family and a keen interest in human progress of all kinds. Together, they cultivated the friendship of prominent scientists, artists, mathematicians, musicians, and philosophers, turning their court at Laeken into a kind of cultural salon. Léopold Philippe Charles Albert Meinrad Hubert Marie Miguel, Duke of Brabant, Prince of Belgium, who became later the fourth king of the Belgians as Leopold III (3 November 1901 – 25 September 1983, at Woluwe-Saint-Lambert). 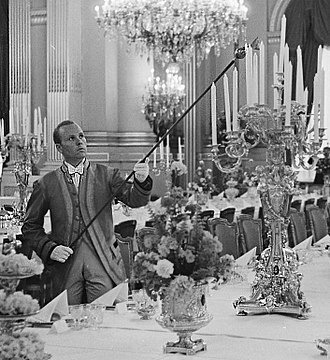 Charles Théodore Henri Antoine Meinrad, Count of Flanders, Prince of Belgium, Prince Regent of Belgium (10 October 1903, in Brussels – 1 June 1983, at Ostend). Marie-José Charlotte Sophie Amélie Henriette Gabrielle, Princess of Belgium (4 August 1906, in Ostend – 27 January 2001). She was married at Rome, Italy on 8 January 1930 to Prince Umberto Nicola Tommaso Giovanni Maria, Prince of Piemonte (born 15 September 1904 and died on 18 March 1983 at Geneva, Switzerland). He became King Umberto II (r. 1946) of Italy. Newspaper compilation in December 1909 shows Albert at top left after inspection of a mine. 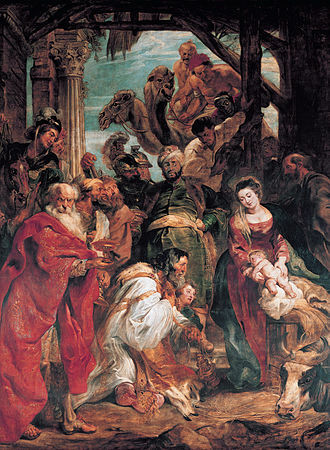 His wife and children are at bottom right. Following the death of his uncle, Leopold II, Albert succeeded to the Belgian throne in December 1909, since Albert's own father had already died in 1905. Previous Belgian kings had taken the royal accession oath only in French; Albert innovated by taking it in Dutch as well. He and his wife, Queen Elisabeth, were popular in Belgium due to their simple, unassuming lifestyle and their harmonious family life, which stood in marked contrast to the aloof, autocratic manner and the irregular private life of Leopold II. 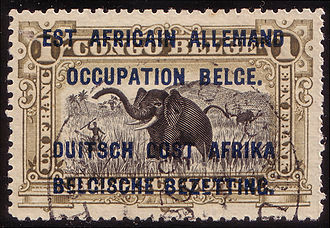 An important aspect of the early years of Albert's reign was his institution of many reforms in the administration of the Belgian Congo, Belgium's only colonial possession. King Albert was a devout Catholic. Many stories illustrate his deep and tender piety. For instance, when his former tutor General De Grunne, in his old age, entered the Benedictine monastery of Maredsous in Belgium, King Albert wrote a letter to him in which he spoke of the joy of giving oneself to God. He said: "May you spend many years at Maredsous in the supreme comfort of soul that is given to natures touched by grace, by faith in God's infinite power and confidence in His goodness." To another friend, a Chinese diplomat who became a Catholic monk, Albert wrote: "Consecrating oneself wholly to the service of Our Lord gives, to those touched by grace, the peace of soul which is the supreme happiness here below." Albert used to tell his children: "As you nourish your body, so you should nourish your soul." 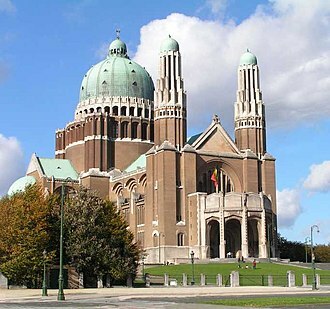 In an interesting meditation on what he viewed as the harm that would result if Christian ideals were abandoned in Belgium, he said: "Every time society has distanced itself from the Gospel, which preached humility, fraternity, and peace, the people have been unhappy, because the pagan civilisation of ancient Rome, which they wanted to replace it with, is based only on pride and the abuse of force" (Commemorative speech for the war dead of the Battle of the Yser, given by Dom Marie-Albert, Abbot of Orval Abbey, Belgium, in 1936). Albert wearing the uniform of a British infantry officer inspecting the front line with British and Belgian officers. At the start of World War I, Albert refused to comply with Germany's request for safe passage for its troops through Belgium in order to attack France, which the Germans alleged was about to advance into Belgium en route to attacking Germany in support of Russia. In fact, the French Government had told its army commander not to go into Belgium before a German invasion. The German invasion brought Britain into the war as one of the guarantors of Belgian neutrality under the Treaty of 1839. King Albert, as prescribed by the Belgian constitution, took personal command of the Belgian Army, and held the Germans off long enough for Britain and France to prepare for the Battle of the Marne (6–9 September 1914). He led his army through the Siege of Antwerp (28 September – 10 October 1914) and the Battle of the Yser (16–31 October 1914), when the Belgian Army was driven back to a last, tiny strip of Belgian territory near the North Sea. 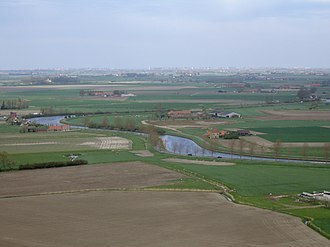 Here the Belgians, in collaboration with the armies of the Triple Entente, took up a war of position, in the trenches behind the River Yser, remaining there for the next four years. During this period, King Albert fought alongside his troops and shared their dangers, while his wife, Queen Elisabeth, worked as a nurse at the front. During his time on the front, rumours spread on both sides of the lines that the German soldiers never fired upon him out of respect for him being the highest ranked commander in harm's way, while others feared risking punishment by the Kaiser himself, who was his cousin. The King also allowed his 14-year-old son, Prince Leopold, to enlist in the Belgian Army as a private and fight in the ranks. The war inflicted great suffering on Belgium, which was subjected to a harsh German occupation. 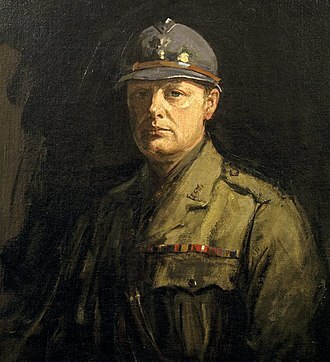 The King, fearing the destructive results of the war for Belgium and Europe and appalled by the huge casualty rates, worked through secret diplomatic channels for a negotiated peace between Germany and the Entente based on the "no victors, no vanquished" concept. He considered that such a resolution to the conflict would best protect the interests of Belgium and the future peace and stability of Europe. 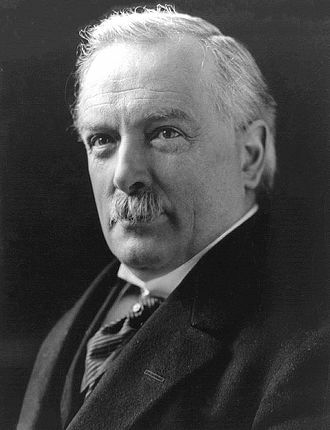 Since, however, neither Germany nor the Entente were favourable to the idea, tending instead to seek total victory, Albert's attempts to further a negotiated peace were unsuccessful. At the end of the war, as commander of the Army Group Flanders, consisting of Belgian, British and French divisions, Albert led the final offensive of the war that liberated occupied Belgium. King Albert, Queen Elisabeth, and their children then re-entered Brussels to a hero's welcome. From 23 September through 13 November 1919, King Albert, Queen Elisabeth of Bavaria, and their son Prince Leopold made an official visit to the United States. During a visit of the historic Native American pueblo of Isleta Pueblo, New Mexico, King Albert decorated Father Anton Docher with Knight in the Order of Leopold II. 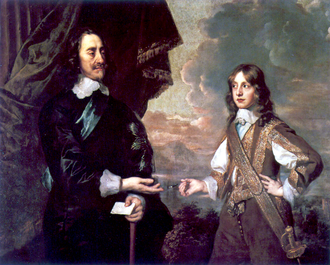 Docher offered the King a turquoise cross mounted in silver made by the Tiwas Indians. Ten thousand people travelled to Isleta for this occasion. That same year he was elected an honorary member of the New York Society of the Cincinnati. 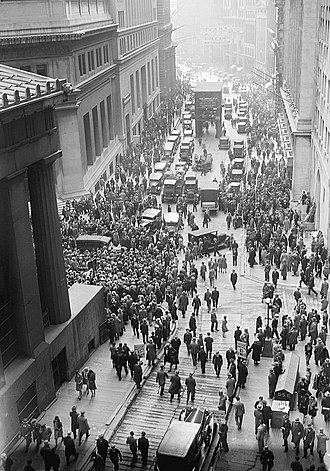 In New York the King received a ticker tape parade in his honour. The visit, which was prepared by his private secretary Max-Léo Gérard, was considered a success by the Belgian authorities. Since the Belgian general strike of 1893, plural votes had been granted to individual men based on their wealth, education, and age, but after the Belgian general strike of 1913 the promise had been made to have constitutional reform for one man, one vote universal suffrage but the German invasion of Belgium in August 1914 and the subsequent occupation delayed the implementation of the commission's proposal. 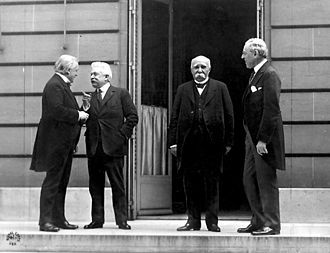 In 1918, King Albert forged a post-war "Government of National Union" made up of members of the three main parties in Belgium, the Catholics, the Liberals, and the Socialists and attempted to mediate between the parties in order to bring about one man, one vote universal suffrage for men. He succeeded. 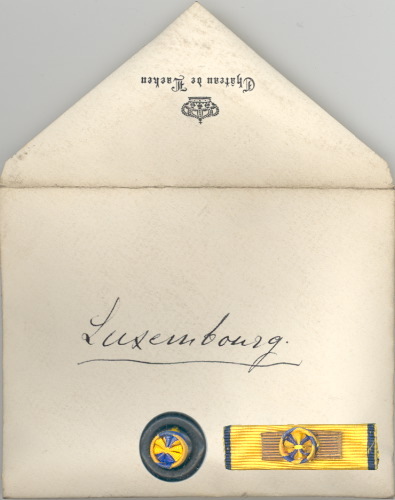 to promote a 'rapprochement' between Belgium and the Grand Duchy of Luxemburg. He strongly advised against a harsh, restrictive treaty against Germany to prevent future German aggression. He also considered that the dethronement of the princes of Central Europe and, in particular, the dissolution of the Habsburg Empire would constitute a serious menace to peace and stability on the continent. The Allies considered Belgium to be the chief victim of the war, and it aroused enormous popular sympathy, but the King's advice played a small role in Paris. Albert spent much of the remainder of his reign assisting in the post-war reconstruction of Belgium. 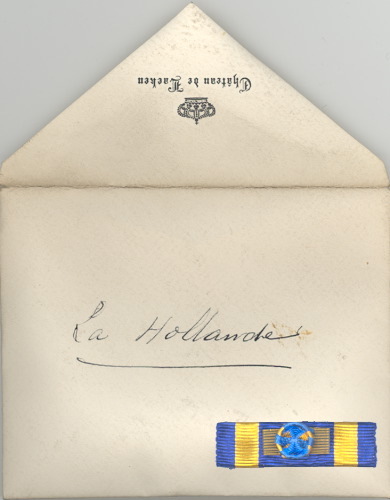 In 1920 Albert changed the family name from “Saxe-Coburg-Gotha” to “House of Belgium” (van België, in Dutch; de Belgique in French) as a result of strong anti-German sentiment. This mirrored the British royal family's name-change to House of Windsor in 1917. Albert was a committed conservationist and in 1925, influenced by the ideas of Carl E. Akeley, he founded Africa's first national park, now known as Virunga National Park, in what is now Democratic Republic of Congo. During this period, he was also the first reigning European monarch to visit the United States. A passionate alpinist, King Albert I died in a mountaineering accident while climbing alone on the Roche du Vieux Bon Dieu at Marche-les-Dames, in the Ardennes region of Belgium near Namur. His death shocked the world and he was deeply mourned, both in Belgium and abroad. Because King Albert was an expert climber, some questioned the official version of his death and suggested that the King was murdered (or even committed suicide) somewhere else and that his body had never been at Marche-les-Dames, or that it was deposited there. Several of those hypotheses with criminal motives were already investigated by the juridical authorities but the doubts have been increased ever since, today still being the subject of popular novels, books and documentaries. Nonetheless, rumors of murder have been dismissed by most historians. There are two possible explanations for his death according to the official juridical investigations: the first was he leaned against a boulder at the top of the mountain, which became dislodged; or two, the pinnacle to which his rope was belayed had broken, causing him to fall about sixty feet. In 2016 DNA testing by geneticist Dr. Maarten Larmuseau and colleagues from the Katholieke Universiteit Leuven on bloodstained leaves collected from Marche-les-Dames concluded that King Albert died at that location. Like the former kings Leopold I and Leopold II, King Albert is interred in the Royal Crypt at the Church of Our Lady of Laeken in Brussels. In 1935, prominent Belgian author Emile Cammaerts published a widely acclaimed biography of King Albert I, titled Albert of Belgium: Defender of Right. In 1993, a close climbing companion of the King, Walter Amstutz, founded the King Albert I Memorial Foundation, an association based in Switzerland and dedicated to honouring distinguished individuals in the mountaineering world. To celebrate 175 years of Belgian Dynasty and the 100th anniversary of his accession, Albert I was selected as the main motif of a high-value collectors' coin: the Belgian 12.5 euro Albert I commemorative coin, minted in 2008. The obverse shows a portrait of the King. On his birth, Albert was granted a coat of arms. These were those of the king, differenced by a label gules, with one crescent argent on the central point. When his father died in 1905, the crescent was removed. When he acceded as King, he gained the royal arms (Belgium with inescutcheon of the shield of Saxony), undifferenced. Finally, after the abolition of the monarchy in Germany and the subsequent loss of his Saxon titles, Albert had the inescutcheon removed in 1921. ^ a b c Carlo Bronne. Albert 1er: le roi sans terre. ^ a b Evelyn Graham. Albert, King of the Belgians. ^ a b Albert I;Museum Dynasticum N° .21: 2009/ n° 2. ^ a b c d Luciano Regolo. 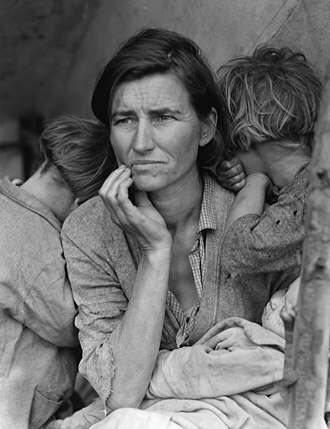 La regina incompresa: tutto il racconto della vita di Maria José di Savoia. ^ Marie-José, Queen, Consort of Umberto II, King of Italy. Albert et Elisabeth de Belgique, mes parents. ^ a b c Roger Keyes. Outrageous Fortune: The Tragedy of Leopold III of the Belgians. ^ a b c Charles d'Ydewalle. Albert and the Belgians: Portrait of a King. ^ a b c Jo Gérard. Albert 1er, insolite: 1934–1984. ^ Keleher and Chant. The Padre of Isleta. Sunstone Press, 2009, p. 94. ^ Samuel Gance, Anton ou la trajectoire d'un père, L'Harmattan, 2013, p.174. ^ Albert I;Museum Dynasticum N° .21: 2009/ n° 2. ^ Charles d'Ydewalle, Albert and the Belgians: Portrait of a King, Translated from the French, by Phyllis Megroz, London, 1935, p. 198 and the following pages. ^ "The Belgian monarchy" (PDF). Belgium. Archived (PDF) from the original on 11 October 2018. Retrieved 11 October 2018. ^ "House of Saxe-Coburg and Gotha". Scribd. Retrieved 11 October 2018. ^ William Mark Adams (2004). Against Extinction: The Story of Conservation. Earthscan. p. 5. ^ NOTERMAN, Jacques (2004). Le roi tué. Brussels: Editions Jourdan le Clercq. ISBN 9782930359069. ^ Raskin, Evrard (2005). Elisabeth Van België - Een ongewone koningin. Antwerp: Hautekiet. ISBN 905240822X. ^ Van Ypersele, Laurence (2006). Le roi Albert: Histoire d'un mythe. Charleroi: Broché. ISBN 978-2804021764. ^ Donaldson, Norman and Betty (1980). How Did They Die?. Greenwich House. ISBN 0-517-40302-1. 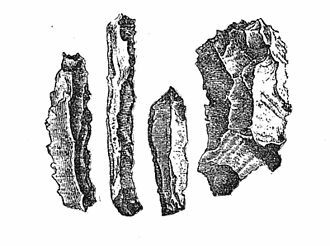 ^ New Historian, 24 July 2016, http://www.newhistorian.com/dna-tests-quash-king-albert-death-conspiracy-theory/6900/ Archived 25 July 2016 at the Wayback Machine Retrieved 26 July 2016. ^ "Koninklijke Crypte van Laken". Monarchie (in Dutch). Archived from the original on 11 October 2018. Retrieved 10 October 2018. ^ a b "Belgium commemorative euro coins – 2008". Euro Master – Online Euro Catalog. Archived from the original on 20 July 2011. Retrieved 29 November 2008. ^ "Albanian Royal Family - Royal Decorations and Warrents". www.albanianroyalcourt.al. Archived from the original on 13 June 2018. Retrieved 13 June 2018. ^ "Toison Autrichienne (Austrian Fleece)" Archived 29 July 2018 at the Wayback Machine (in French), Chevaliers de la Toison D'or. Retrieved 2018-08-07. ^ "Knights of the Garter created during the reign of King George V (1910-1936)" Archived 7 August 2018 at the Wayback Machine, Cracroft's Peerage: The Complete Guide to the British Peerage & Baronetage. Retrieved 2018-08-07. Wikimedia Commons has media related to Albert I of Belgium. Wikisource has the text of the 1922 Encyclopædia Britannica article Albert I..
Carlota of Mexico was a Belgian princess who became Empress of Mexico as the wife of Maximilian I of Mexico. The only daughter of Leopold I, King of the Belgians by his wife, Princess of Orléans, Charlotte was born at the Royal Palace of Laeken in Laeken, Brussels. Charlotte had three brothers, Louis-Philippe, who died in infancy, who on the death of their father became Leopold II of Belgium and Philippe, Count of Flanders. She was a first cousin to both Queen Victoria and her husband, Prince Albert, as well as Ferdinand II of Portugal and she belonged to the House of Saxe-Coburg and Gotha. Her favorite grandparent Maria Amalia of the Two Sicilies, Queen of France, was the consort of Louis-Philippe of France, Maria Amalia was Charlottes close confidante, and on her wedding day in 1857, she wore a bracelet with a miniature portrait of her. They regularly corresponded, especially while Charlotte was in Mexico, when Charlotte was ten years old, her mother, Louise-Marie, died of tuberculosis and Charlotte was entrusted to the Countess of Hulste, a close family friend. Although young, the princess had her own household, but for a few out of the year, Charlotte stayed in Claremont with Maria Amalia. On 27 July 1857 in Brussels, Charlotte married her second cousin Archduke Maximilian of Austria, Napoleon III gave Charlotte and her husband Maximillian a beautiful bisque bust of Charlotte as a wedding gift. This bust is in the Popes Tavern, Alabama, in the Court of Vienna she was much prized by her mother-in-law, Princess Sophie, who saw in her the perfect example of a wife to an Austrian Archduke. Charlotte disliked Empress Elisabeth, Franz Josephs wife, Charlotte spent several relatively happy years in Italy as Maximilians wife while the archduke served as the governor of the Austrian provinces of Lombardy and Venetia. The position was purely nominal, as power rested in the hand of the Emperor, in the early 1860s, the ambitious Napoleon III initiated the French intervention in Mexico. France, eager to turn Mexico into a state, searched for a suitable figurehead to serve as the nominal emperor of Mexico. His choice was Maximilian, who held no power in Italy and was eager for a more challenging role. Against his brothers advice, Maximilian accepted the Mexican crown and the couple sailed for the New World, the imperial couple were crowned at the Catedral Metropolitana in 1864 and chose as their seat Mexico City, making their home in the Neoclassical Chapultepec Castle. As Empress, she took the name of Carlota, Carlota tried to take her imperial duties seriously, and even undertook a tour of the remote Yucatán frontier, visiting the ruins of Uxmal. Only months after the coronation, Napoleon III began signaling his abandonment of Maximilian, and this strategic pullback was a potentially fatal blow to the infant Mexican monarchy. The situation was exacerbated by a United States blockade that prevented French reinforcements from landing, in a desperate attempt to save her husbands throne, Carlota returned to Europe, seeking assistance for her husband in Paris and finally in Rome from Pope Pius IX. Georges Emile Léonard Theunis was the 24th Prime Minister of Belgium from 16 December 1921 to 13 May 1925 and again from 20 November 1934 to 25 March 1935. He was governor of the National Bank of Belgium from 1941 until 1944 and he received a military training and was trained as an engineer. 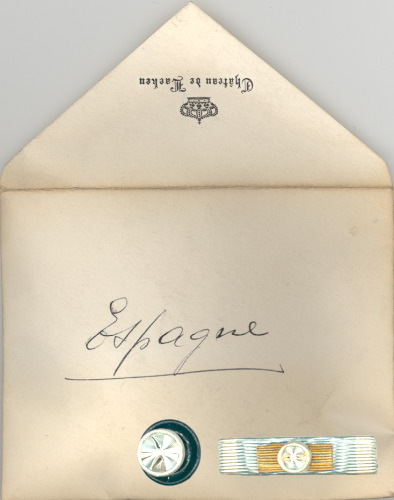 Georges Theunis started his career in the Empain group, where he was an administrator, during World War I, he headed the Belgian Wartime Provisions Commission in London. 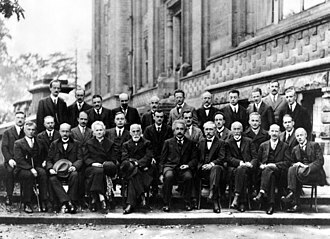 After the war he was involved in the Paris Peace Conference,1919, from 1926 until 1927 he chaired the International Economic Conference in Geneva. 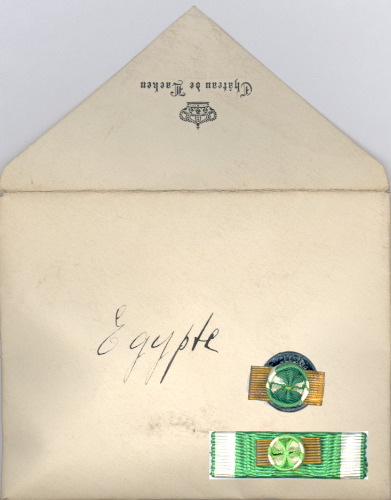 In 1926 he joined the newly formed council of regency of the National Bank, together with Emile Francqui, as regents of the NBB, both Theunis and Francqui represented the power which the large private banks had gained since 1926. During World War II he served as an ambassador to the United States of America. In 1941, he was appointed governor of the National Bank of Belgium by the Pierlot government in exile at London instead of Albert Goffin who had appointed by Secretary General Plisnier. 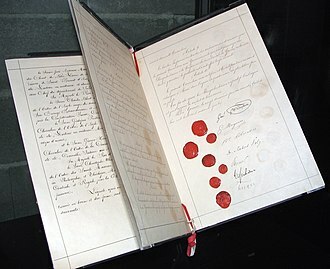 It was this action that technically caused the British to enter the war, as they were still bound by the 1839 agreement to protect Belgium in the event of war. 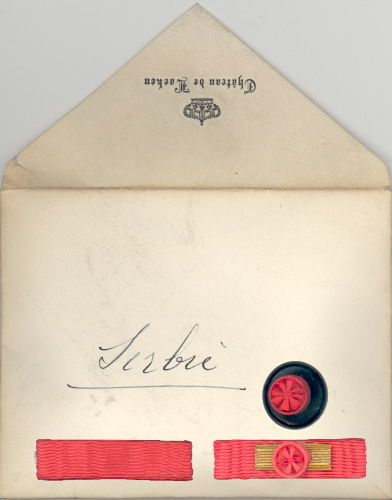 On 2 August 1914, the German government demanded that German armies be given passage through Belgian territory. The Belgian King Albert I addressed his Parliament on 4 August, the strength of our right and the need of Europe for our autonomous existence make us still hope that the dreaded events will not occur. 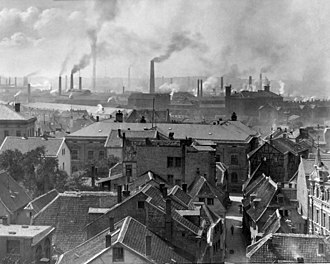 The same day German troops invaded Belgium crossing the frontier at dawn, Liège was attacked on 4 August and fell on 7 August. In fact, the German advance on Paris was almost exactly on schedule, the German invaders treated any resistance—such as demolition of bridges and rail lines—as illegal and subversive, shooting the offenders and burning buildings in retaliation. Flanders was the base of the British army and it saw some of the greatest loss of life on both sides of the Western Front. The Germans governed the areas of Belgium while a small area around Ypres remained under Belgian control. 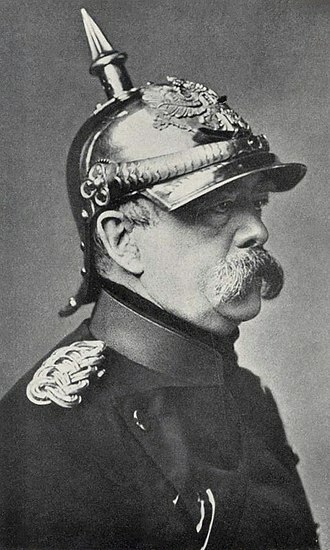 For the majority of the occupation, the German military governor was Moritz von Bissing, beneath the governor was a network of regional and local German kommandanturen and each locality was under the ultimate control of a German officer. Many civilians fled the war zones to safer parts of Belgium, many refugees from all over the country went to the Netherlands and about 300,000 to France. Over 200,000 went to Britain, where they resettled in London, the British and French governments set up the War Refugees Committee and the Secours National, to provide relief and support, there were an additional 1,500 local WRC committees in Britain. 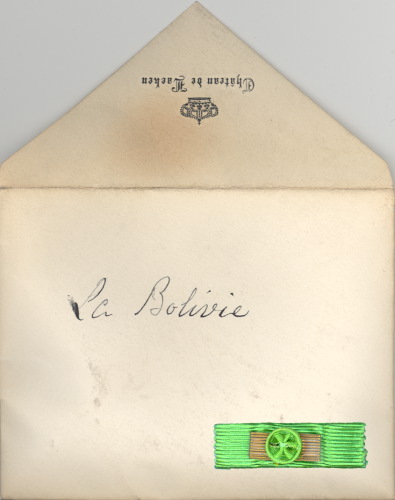 The high visibility of the refugees underscored the role of Belgium in the minds of the French, on the advice of the Belgian government in exile, civil servants remained in their posts for the duration of the conflict, carrying out the day-to-day functions of government. 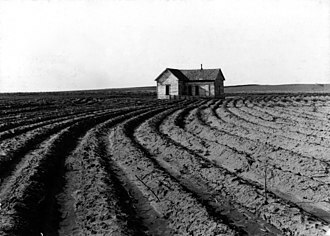 All political activity was suspended and Parliament shut down, while farmers and coal miners kept up their routines, many larger businesses largely shut down, as did the universities. Namur is a city and municipality in Wallonia, Belgium. It is both the capital of the province of Namur and of Wallonia, hosting the Walloon Parliament, Namur stands at the confluence of the Sambre and Meuse rivers and straddles three different regions – Hesbaye to the north, Condroz to the south-east, and Entre-Sambre-et-Meuse to the south-west. The city of Charleroi is located to the west, the town began as an important trading settlement in Celtic times, straddling east-west and north-south trade routes across the Ardennes. The Romans established a presence after Julius Caesar defeated the local Aduatuci tribe, Namur came to prominence during the early Middle Ages when the Merovingians built a castle or citadel on the rocky spur overlooking the town at the confluence of the two rivers. In the 10th century, it became a county in its own right, in 1262, Namur fell into the hands of the Count of Flanders, and was purchased by Duke Philip the Good of Burgundy in 1421. After Namur became part of the Spanish Netherlands in the 1640s, louis XIV of France invaded in 1692, capturing the town and annexing it to France. His renowned military engineer Vauban rebuilt the citadel, french control was short-lived, as William III of Orange-Nassau captured Namur only three years in 1695 during the War of the Grand Alliance. Thus, although the Austrians ruled the town, the citadel was controlled by the Dutch and it was rebuilt again under their tenure. France invaded the region again in 1794, annexing Namur and imposing a repressive regime, after the defeat of Napoleon in 1815, the Congress of Vienna incorporated what is now Belgium into the United Kingdom of the Netherlands. Belgium broke away from the Netherlands in 1830 following the Belgian Revolution, the citadel was rebuilt yet again in 1887. Namur was a target of the German invasion of Belgium in 1914. On August 21,1914, the Germans bombarded the town of Namur without warning, despite being billed as virtually impregnable, the citadel fell after only three days fighting and the town was occupied by the Germans for the rest of the war. Namur fared little better in World War II, it was in the front lines of both the Battle of the Ardennes in 1940 and the Battle of the Bulge in 1944, the town suffered heavy damage in both wars. The M15 Adrian helmet was a combat helmet issued to the French Army during World War I. Introduced in 1915, it was the first modern steel helmet, initially issued to infantry soldiers, in modified form they were issued to cavalry and tank crews. The early stages of trench warfare proved that even basic protection of the head would result in a lower mortality rate among front-line soldiers. By the beginning of 1915 a rudimentary steel skull-cap was being issued to be worn under the kepi, the French staff ordered development of a metal helmet that could protect soldiers from the shrapnel of exploding artillery shells. Since soldiers in trenches were vulnerable to shrapnel exploding above their heads, contrary to common misconception, the M15 helmet was not designed to protect the wearer from direct impact by rifle or machine gun bullets. The resulting headgear was credited to Intendant-General August-Louis Adrian, by the end of World War I, it had been issued to almost all infantry units fighting with the French Army. It was used by some of the American divisions fighting in France, the French Gendarmerie mobile adopted a dark blue version in 1926, and continued to wear it into the 1960s, well after the regular army had discarded it. The helmet proved to be effective against shrapnel and it was cheap and easy to manufacture. S. S. R. and Yugoslavia. However, because the new steel helmets offered protection against actual bullets. It was discovered that the placed on the front of helmets impaired the strength of the helmet because of the two slots required. 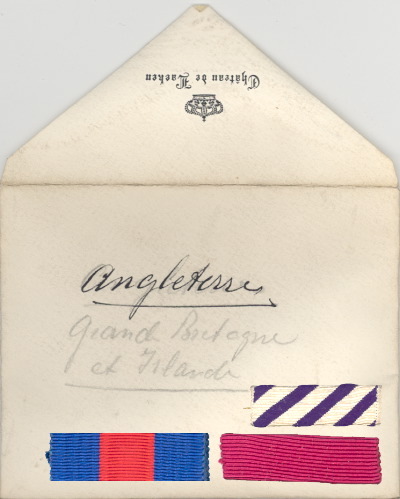 This perceived weakness made several armies remove their national insignia altogether, early helmets were painted horizon-blue for French troops and khaki for colonial forces. Those made after 1935 are usually painted khaki, reflecting the French army movement to a more camouflaged uniform in the 1930s, the large ventilation hole under the comb, which had been a weak point of the old design, was replaced with a series of small holes. The M26 helmet continued in use with the French Army until after World War II, during the interwar period Belgium began to produce their own domestically made M26 Adrians and exported them around the globe. Prince Baudouin of Belgium, born in Brussels, was the first child and eldest son of Prince Philippe, Count of Flanders, and his wife, Princess Marie of Hohenzollern-Sigmaringen. Baudouin was the nephew of Leopold II of Belgium, Baudouins birth that June was celebrated throughout the country. He was second in line to the throne at the time of his birth, king Leopold would have only one more child, another daughter, Clémentine. Baudouin was thus groomed to succeed his uncle as king. Baudouin died in the Palace of the Count of Flanders on 23 January 1891, Baudouin had been visiting his sick sister, Henriette. The prince, who had been suffering a bout of influenza, on 23 January he was wounded in a duel with the husband of his mistress and died of his injuries. His body was removed from the site of the duel. Baudouin was, at the time of his death, soon to be betrothed to his cousin, upon the death of Prince Baudouin, the Belgian Parliament was adjourned and theatres and public institutions were closed until after the funeral. The Germans Arrive by the American artist George Bellows depicting the 1914 German atrocities in Belgium. Empress Carlota by Franz Winterhalter, 1865. Princess Charlotte in 1842, by Franz Winterhalter. 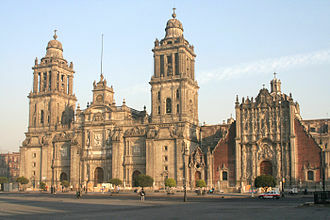 Maximilian and Carlota were crowned in 1864 at the Catedral Metropolitana in Mexico City. Princess Louise of Belgium and prince Philippe of Saxe-Coburg and Gotha. Engraving after a photograph taken at the time of their marriage in Brussels, on 4 February 1875.